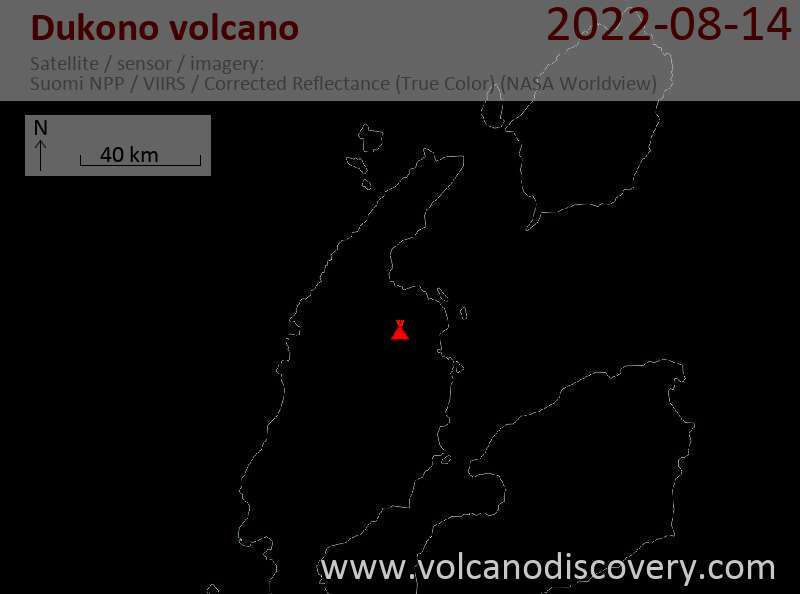 The activity from the volcano continues with little changes. Near continuous ash venting and strombolian explosions inside the summit crater produce ash plumes that reach 7-8,000 ft (2-2.4 km) altitude and drift into various directions and are being spotted by VAAC Darwin almost every day. 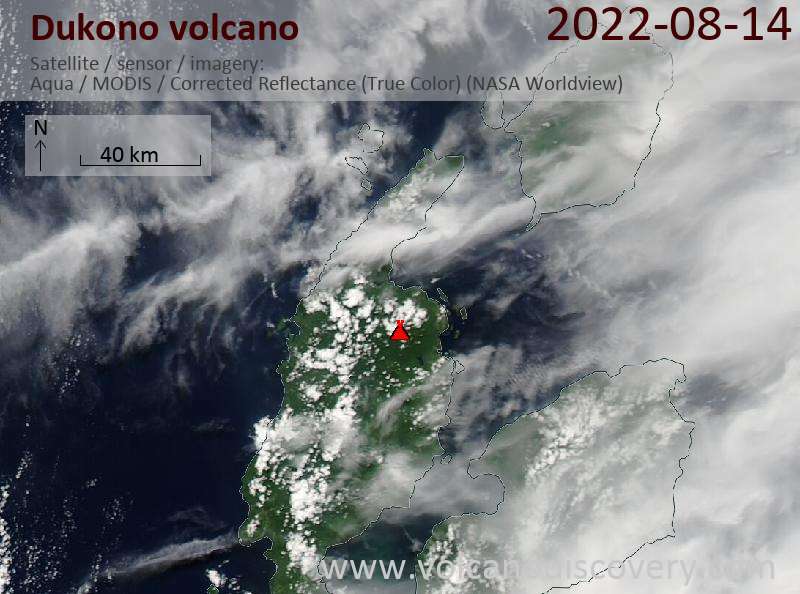 Dukono volcano Volcanic Ash Advisory: CVGHM REPORT ONGOING ERUPTION TO FL060 WITH VA EXT TO E.